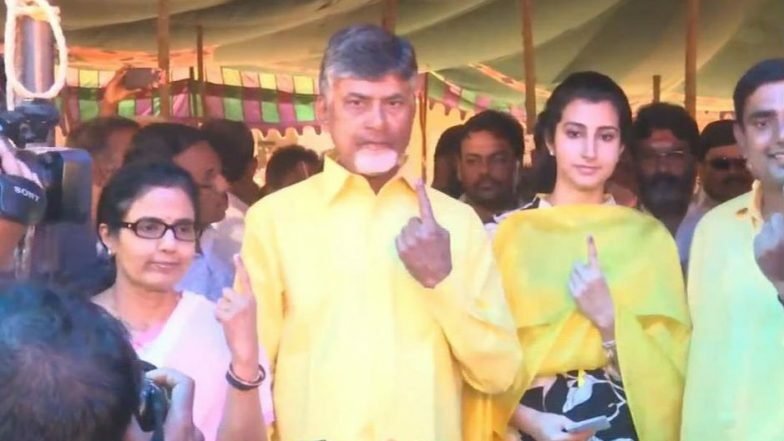 Amaravati, April 11: Andhra Pradesh Chief Minister and Telugu Desam Party (TDP) President N. Chandrababu Naidu on Thursday expressed his unhappiness over Electronic Voting Machines (EVMs) not functioning at several polling booths. Naidu told the media here that polling was delayed at several places as the EVMs were not functioning. He said an EVM was not working where Chief Electoral Officer Gopal Krishna Dwivedi went to cast his vote. Live Breaking News Headlines & Updates, April 11: Lok Sabha Elections 2019 | Union Minister Nitin Gadkari Cast His Vote in Nagpur. Polling was underway in the state for 175-member Assembly and 25 Lok Sabha seats. Naidu said at least now the Election Commission should review its stand on EVMs. "We have long been saying that there is scope for technical problems and manipulation in EVMs. Even technologically advanced countries are using ballot papers," the TDP chief said. Assembly Elections 2019 Phase 1 Live News Updates: YSRCP MPTC Matta Raju Attacked by TDP Workers.